Fashion trends come and go so quickly and can be a drain on the household budget. However, there are some accessories that can change your look and keep you up to date without having to buy new outfits. 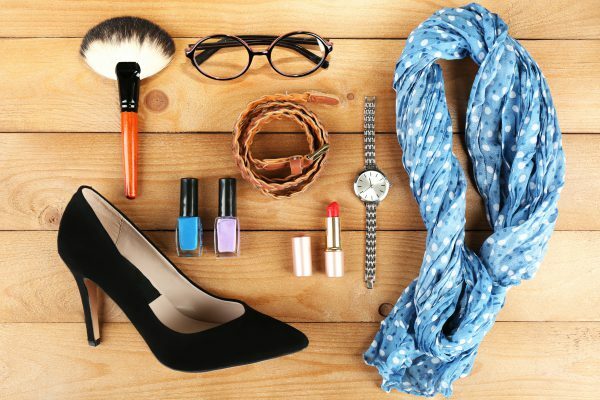 Here are some accessories that you can incorporate with your look to keep you trendy. Bright, colorful, statement socks are the trend for 2017. Opting for bright bold colors, funky stripes, emojis, or your favorite superhero are all the rage. They can make the most boring of outfits and bring new found like to them! Be daring and slip on a pair of funky neon green knee highs with some Mary Jane high heels and your little black dress will transform into a major statement. While statement socks are the trend, not all scenarios will allow for such creativity. You may have a strict dress code at work that could land you in hot water. Do consider compression therapy products for work. While they are often recommended for diabetics, anyone can wear them. And they are perfect for situations in which you are on your feet all day or wear heels all day. And don’t worry, the products have updated themselves and they look fantastic with no hint that they are compression products! This spring and summer, heels are all the rage. While this trend will make many heel-lovers happy, some women will be worried as their history with heels have left them uncomfortable. It’s important to find the heel that really excites you. Something can be fashionable but requires the wearer to really love them to show off how amazing they are. Start with a low 2-inch heel and go for the chunky. Not all heels have to be a stiletto! Wider heels make walking and maintaining balance. Wedge heels are even easier to learn to walk in. Look for something that is skin revealing, either a peep toe or with eyelet cutouts. Our hair styles are easily a part of the fashion statement we wish to make. First thing is first, be sure to get a trim or revamp your haircut so that you are feeling bold and confident. Headbands, hair pins, and bandanas are still popular choices. However, for 2017 we are seeing a trend in recycled or repurposed materials hitting the runway. Whether it is crafting a headband from odds and ends in grandma’s sewing basket, to bejeweled hairpins that made a statement, to floral headwrap accessories, you are bound to find something that you can create at home to make your own statement. While minimalism may seem like a major trend, jewelry is certainly not minimalized at all in 2017. At Fashion Week, the trendsetters used chunky art deco necklaces, oversized arm cuffs, and earrings made of raw stone. Just like the 80’s brought us big hair, we will now see big jewelry to update our wardrobes. Fashion is one of the best things in our lives that can allow us to really show off your curves and make us feel as pretty as we know we are. Start off with updating just an accessory or two and see how you feel. Don’t be shy about that big necklace or bold sock. Go with it and see if it helps the outsides match the insides.